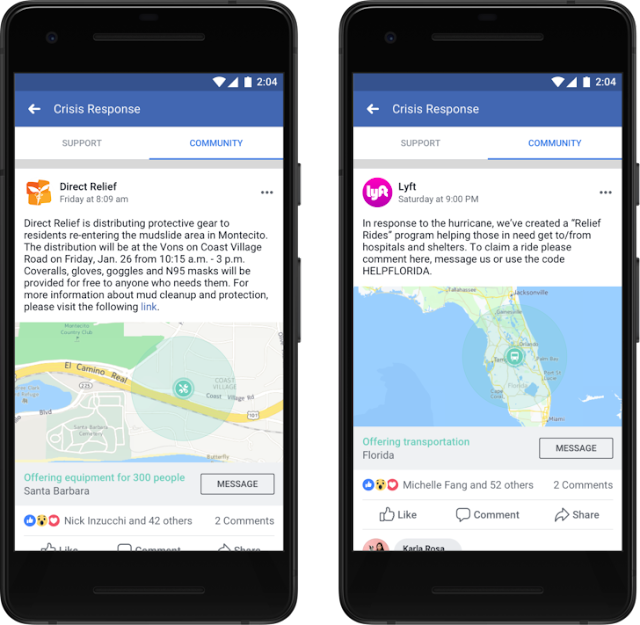 One of the popular social media called Facebook rolled out a special community help assistance for the users, these section was initialized last years ago to do some good during crisis. According to latest from Facebook, community Help was created for the users to render assistance to each other including, shelter and so on. But recently Facebook has made it open for the business and organization to post into community Help just like an individual. According to Facebook, the first wave of organizations are getting access to the crisis management features now. They include Direct Relief, Lyft, Chase, Feeding America, International Medical Corps, The California Department of Forestry and Fire, and Save the Children. More will be added in the coming weeks as well. Businesses with access to Community Help will be able to offer free or discounted services to users in affected areas. Charities will be able to direct people to aid following a disaster. They could also use Community Help to look for volunteers. Facebook says people have engaged with Community Help more than 750,000 times since it launched a year ago. That sounds like an impressive metric, but it's just a reminder how crummy the world can be sometimes. Maybe it'll be a little less crummy for Facebook users in Community Help the next time something happens.